Ruby gemstone is among the most precious gemstones found across the world. It is loved and absolutely popular because of its richness and shining pigeon blood red colour. Considered as one of the most favorites ever since the existence of civilizations, this ruby gemstone is rightly also known as the ‘Kings of all gems.’ In the language of Vedic astrology, Ruby is called Manik in Hindi and holds a very crucial place in this form of science. 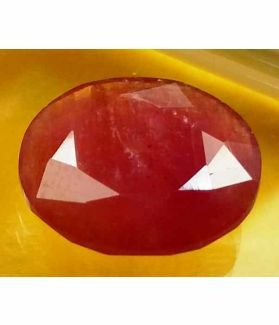 Planet Sun, which is considered as the most powerful and father figurine of Vedic astrological science is what defines Ruby gemstone. 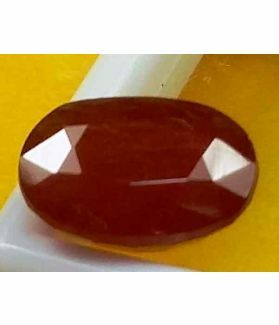 Birthstones play a vital role in people’s life and in Vedic literary sense; they are called “Rashi Ratna.” Ruby manik gemstone is the birthstone of Singh rashi or Leo zodiac sign. 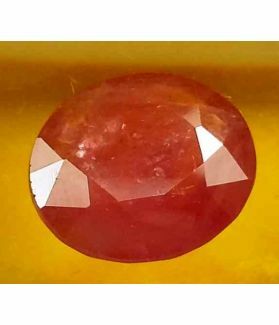 Even though diamonds are considered the most expensive of all gemstones, but the fact is that Ruby Vedic gemstone, if found in its true essence and larger pieces is the most expensive gemstones of all. Ruby gemstone can be quite mysterious and complex to understand. 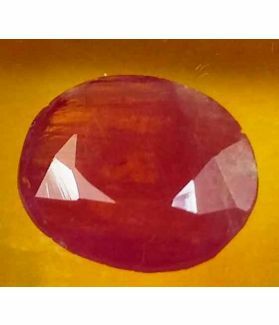 When you consult your Vedic astrologer, he/she might tell you to buy original Ruby gemstone without cracks or discolouration. But how do you find out which is the original ruby gemstone? The characteristic colour of Ruby gemstone is pigeon blood red, which it receives because of the presence of chrome as well as certain other impurities. However, not many people know that chrome itself is considered as an impurity, which explains how oxymoron it sounds when someone says that pure Ruby gemstone is the one that has rich chrome presence in it! The problem is that excessive presence of chrome may lead to the occurrence of cracks in Ruby gemstone and it can also lead to fissures. The qualities of natural and original ruby gemstone is largely dependent upon the presence of impurities within it. 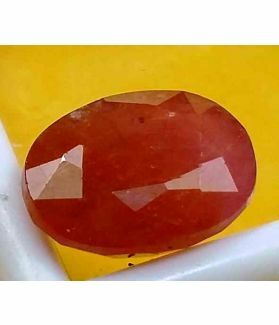 Ruby gemstone is a rare gemstone and if you go to buy original gemstone, you will be overwhelmed by the number of choices you have in the market. 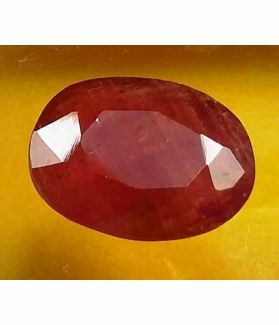 Ruby gemstone is mined from different areas of this world, but largely one may find it in Middle East, Southeast Asia and certain regions of Asia and Europe. Among the most noted regions in Southeast Asia from where Ruby gem is mined is Old Burma. Here, the Mogok Valley has remained the mining ground and the epicentre of original Ruby gemstones for several centuries. 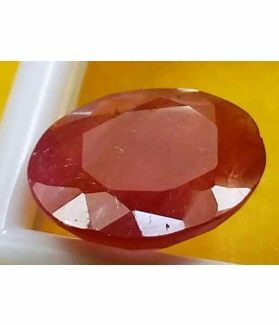 It is this Mogok tract which has given the world, its finest rubies and has also set the standards for ruby classification. 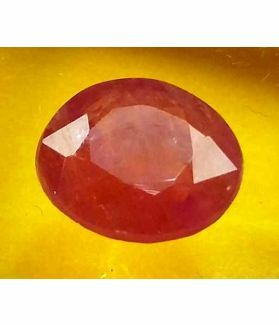 Burmese ruby gemstone is therefore a much more sought-after Vedic gemstone. After 1990, Myanmar or Central Burma became the mining ground for rubies. The Mong Hsu area in Myanmar specifically became the origin of ruby gems. 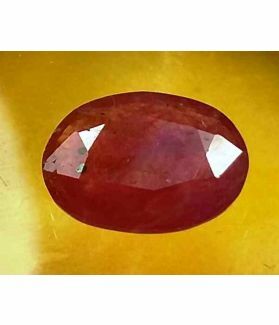 Thailand is also another supplier of rubies and the gemstones coming from here are called 'Siamese Ruby gemstone.’ Among the other regions in Southeast Asia where rubies are found are Afghanistan, India and Pakistan. Thailand, nevertheless, in the modern times, is accredited for major processing and production of rubies. In fact, it can be rightly said that about 80% of ruby gemstones found across the world have come from Thailand at some stage of their assembly line. When we talk about Europe, ruby manik gem has also originated from Greenland and Macedonia. In Africa, the gemstone is found in certain areas of Kenya. 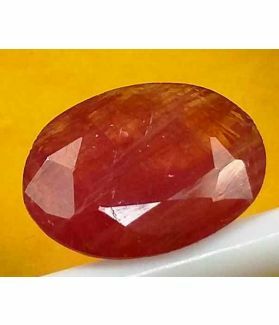 Clarity- A good quality Ruby gemstone will have highest standards of clarity. 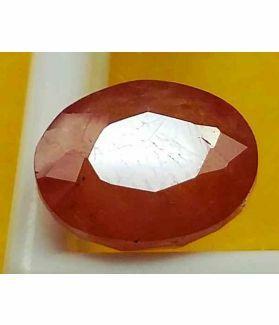 However, one must note that it is almost impossible to find 100% clear ruby because natural ruby contains certain natural inclusions as well. Greater clarity is nevertheless indicative of better quality and hence higher price as well. 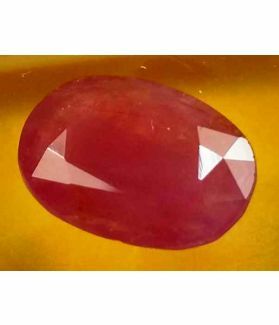 Colour- Among other important factors is the colour of ruby gemstone. Burmese ruby gemstones have the best and most original colour of rubies. 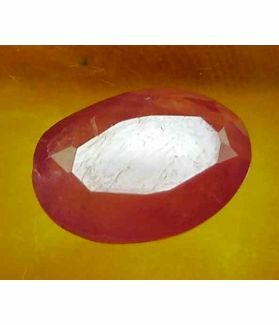 Pigeon blood red colour is the closest possible bet while buying original and real ruby gems. 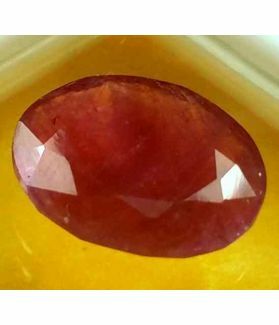 The second best quality comes from Thailand, where the colour of Ruby gem is dark red and almost brown. Pink rubies can be found in Sri Lanka. 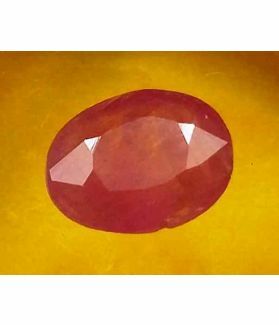 Cut- The cutting technique and style of ruby gemstone can influence its quality and price to a great extent. Skilfully and artistically cut ruby gems appears lustrous, clearer and more beautiful. Hence, this sets the standard of quality for ruby manik gemstone. Carat- This is more about the weight. 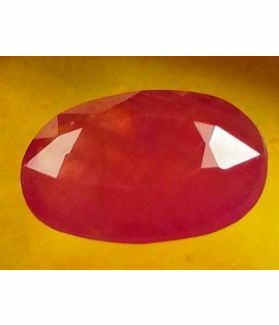 However, quality is the ruling factor that defines the original ruby gemstone and its price. Nevertheless, it goes without saying that bigger ruby or more carat weight with highest standards of quality will cost a bomb! What is Mozambique Ruby gemstone? The most premium variety of rubies is Mozambique ruby, the one mined from African region in Mozambique. It is the most demanded and rare luxury since Mozambique ruby gemstone is the most valuable, most precious and rarest rubies found in the world. It comes with exceptionally beautiful and lustrous red colour and has highest standards of transparency. 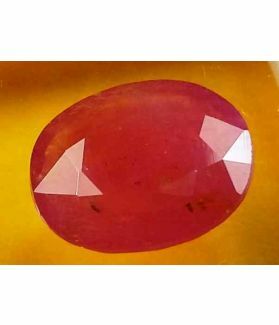 The importance of Mozambique ruby gemstone is significant from the Vedic astrology point of view. Considered as the gemstone of many people born in the month of July, this variety of ruby is said to bring fortunes as far as financial growth is concerned. It is also highly recommended in Vedic astrology for better health and academic success. 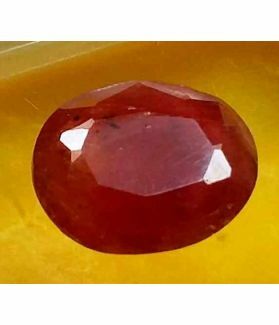 Even though Burmese ruby gemstone has ruled the gemstone industry for centuries, the new found Mozambique ruby gemstone is also significantly important and has contributed massively to the gem industry. 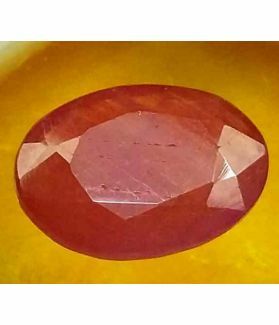 Living up to the expectations of all Cs, i.e., Color, Carat, Clarity and Cut, the Mozambique ruby gemstone is dominating the gemstone industry for its sheer brilliance and remaining close to flawless despite remaining untreated. Colour- The rubies originating from Mozambique region are dark red in essence and these gemstones contain iron, which gives it a slight tint of purple as well. The florescence existence of purple colour makes it look vivid red in colour and this is considered as the finest possible quality of ruby. 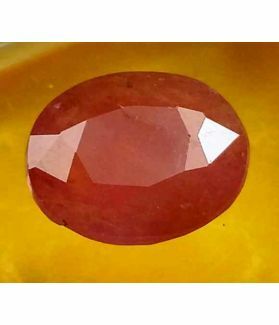 Clarity- When you go to buy Mozambique ruby you will observe the mild silk inclusions, which are most likely only visible under microscope and seldom to the naked eyes. 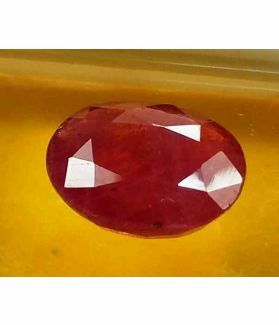 The crystal clear transparency of Mozambique ruby makes it rare and most expensive gemstone in the world. Cut- A properly faceted Mozambique ruby is lustrous, brighter and clearer. 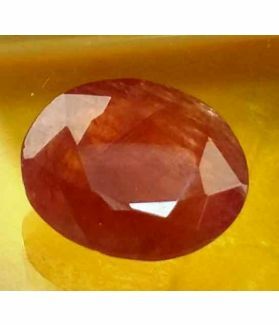 Improper cutting of the gemstone makes it look dull and colourless. 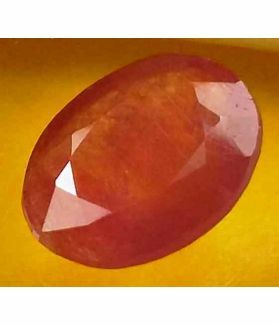 Burmese ruby gemstone- This is an extremely expensive variety of ruby gems and is also less available. 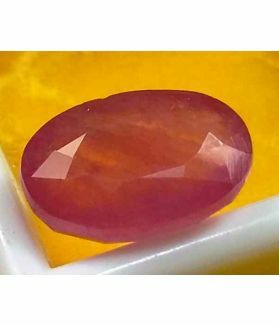 New Burmese Ruby gemstone- This variety can be found with much more ease than the predecessor we have mentioned above. 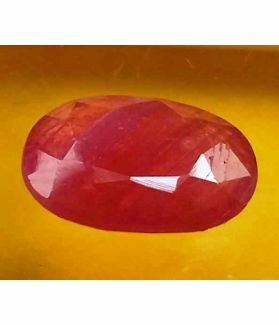 Mozambique ruby gemstone is the most recommended Vedic gemstone because of several benefits that come attached to it. 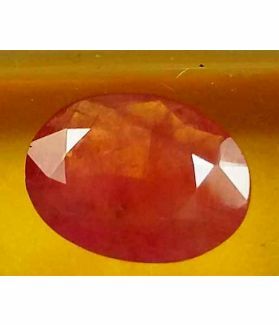 This is the ruling gemstone of the strongest planets of all, Sun and hence it is said to being a range of advantages. Here are some of the benefits of ruby gemstone from Vedic astrology point of view. 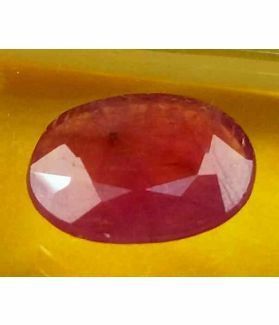 In very less time, Mozambique ruby gemstone has gained immense popularity because of several reasons. 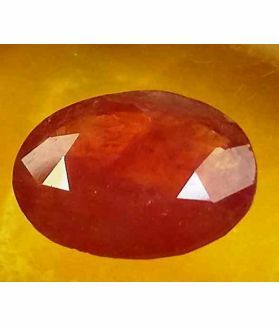 Due to its strong demand, highest astrological value and great quality, Mozambique ruby gemstone is highly expensive in jewellery and gemstone industry. Typically, the price of Mozambique ruby gemstone is largely dependent upon its clarity, cut, colour and carat weight. 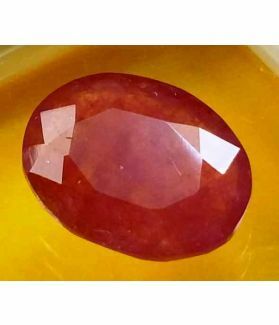 Highly transparent, vividly pigeon blood red colour ruby gemstone, precisely cut ad heavy gemstone costs millions of dollars or lakhs of Rupees in the market. 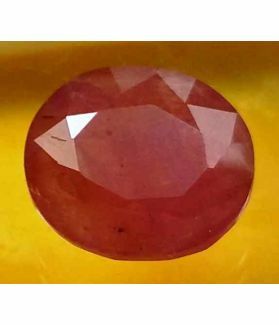 When a Vedic astrologer suggests you to buy ruby gemstone, you must check for the quality standards and ask them to suggest you the best size so that it fits within your budget.